It was very much the Dan Brown effect that brought Saint-Sulpice it’s visitors. Since the publishing of his bestselling novel Da Vinci Code, which is partly set in Saint-Sulpice, there was a kind of rush on this church. 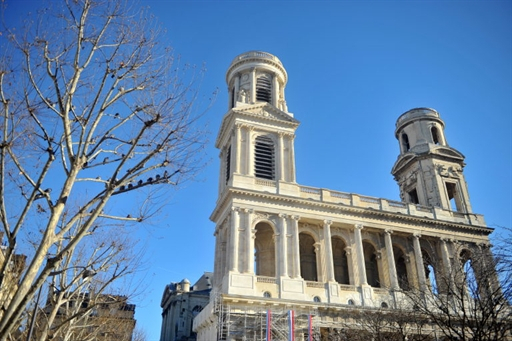 The Paris archbishopric even claims that “Saint-Sulpice is one of the best known churches worldwide”. And why should they lie? For more than a decade though the façade of the church dating from the 17th century was partly hidden under tarps and a lot of tourists may have been disappointed. But now, the monumental restoration work, which took more than eleven years and had cost the town of Paris and the culture ministry 28 million Euros, is finished. Yesterday the northern tower was revealed: 71 meters high, decorated with four statues representing the evangelists with a weight of 20 tonnes each, dazzling white limestone in front of a deep blue Paris sky. And you know how this worked out? In the French way. Which means: perfectly. Because when it comes to craft, they are world champions. Every stone, the four statues and the five bells had been dismantled and transported on 22 trucks to special restorers in Normandy, Vaucluse and Loire-Antlantiqe. A building that always makes an impact. 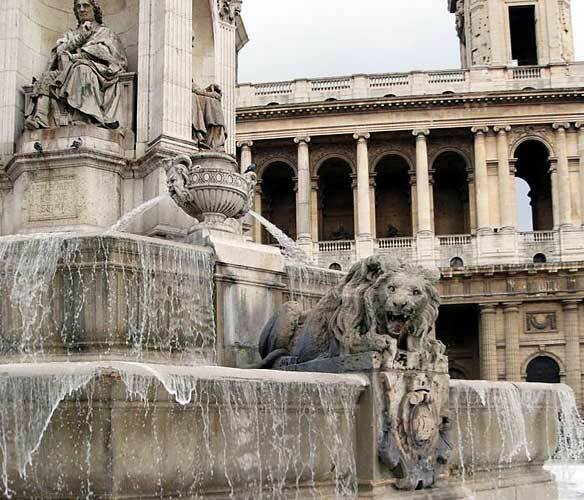 People often say Saint-Sulpice is one of the most beautiful churches of Paris. I wouldn’t say this. After Notre-Dame de Paris it’s the second largest one, that’s for sure. But now, as the whole façade is again visible, you can feel that the construction was quite complicated: it took more than 130 years to build. The façade is somehow unorthodox with a double Ionic colonnade and two mismatching towers: the neoclassical one was added shortly before the French Revolution. During this time Saint-Sulpice became a Temple of Victory and, of course, the second tower was never begun.